So, summer’s hurtling to a close, kids are back in school, and I’m actually wearing a cardigan – A CARDIGAN, PEOPLE! – as I type this. We had so much fun exploring new places this summer that I have decided to make a weekly hike or nature walk part of our fall routine. Places we visited this summer are bound to look quite different and maybe even more beautiful come fall. I’m gonna let you in on a few of the hidden gems we have discovered here in the southeast Vermont/southwest New Hampshire/western Massachussetts area. If you’re within an hour’s drive of any of these spots, I highly recommend! 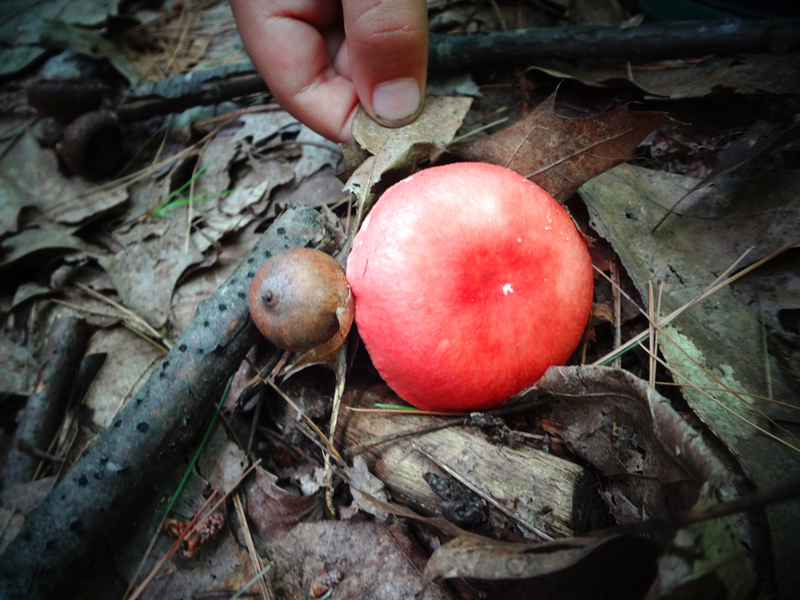 There’s nothing like walking through the dappled forest light, smelling the piney fall air, and being forced by your young charges to stop and examine each and every weird mushroom along your path. 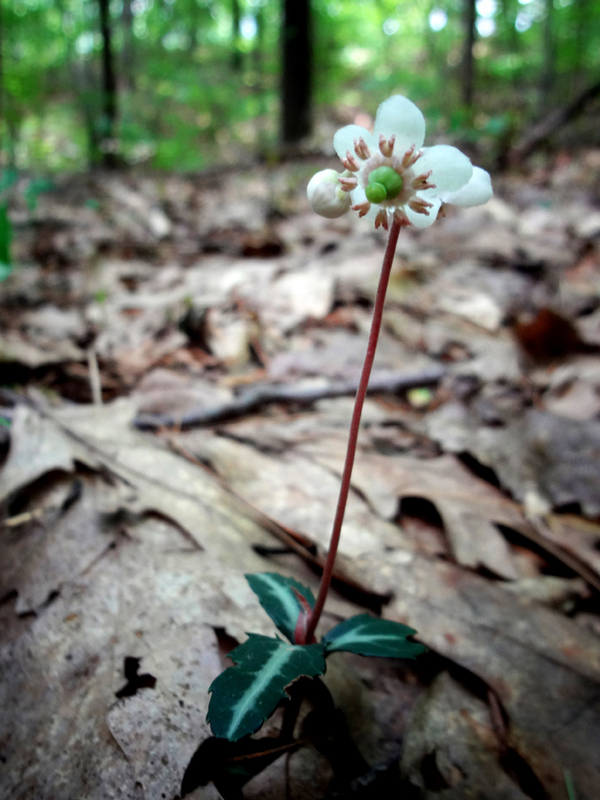 Just make sure you bring your bug spray and your patience – a one-mile trail recently took us 3.5 hours to traverse, what with the snack stops, the flower-sniffing, acorn-scrutinizing pace, and the frequent detours to look for wildlife. 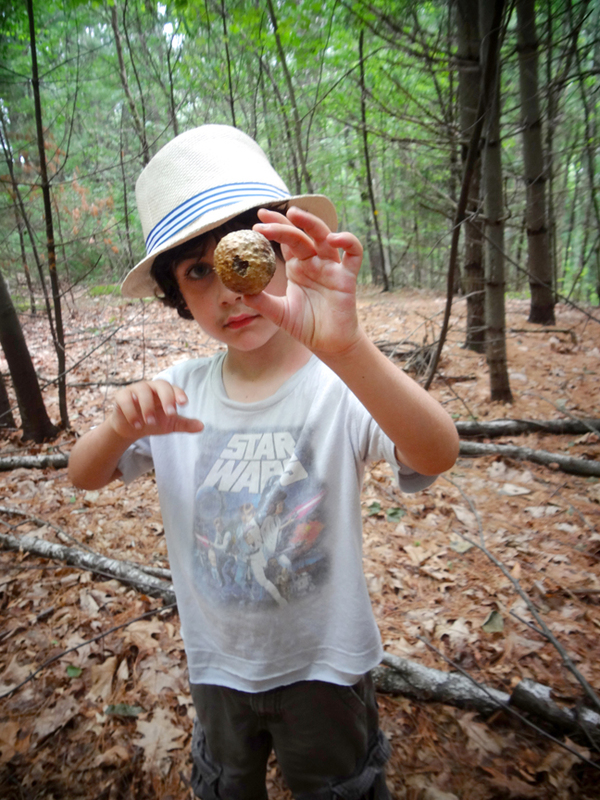 Speaking of wildlife, one of our most memorable summer hikes was at the wonderful Arcadia Wildlife Sanctuary in Easthampton, MA. 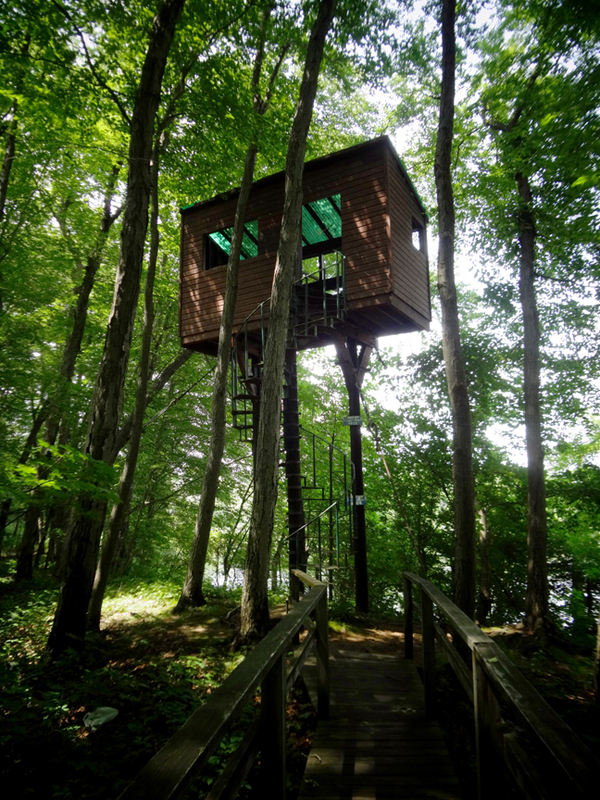 Plus it has this cool lookout tower treehouse thing! Wantastiquet is also a good place to spot wildlife. Researching a little for this blog post I found out that apparently, Mt. Wantastiquet is also known as Rattlesnake Mountain. Pretty sure this cute little guy is not one, but perhaps best to keep one’s distance just in case. If you want to get up close and personal with Mother Nature, maybe try a tree instead. We found these weird little fungus-like plants, which I later learned are commonly known as Indian Pipe. They’re actually kind of rare plants that grow on a fungus that lives near beech trees, and live totally without chlorophyll. However my three year-old daughter insisted they were a species called “Cylene oxide.” World class science BS-er, that one. On the opposite side of Mt. 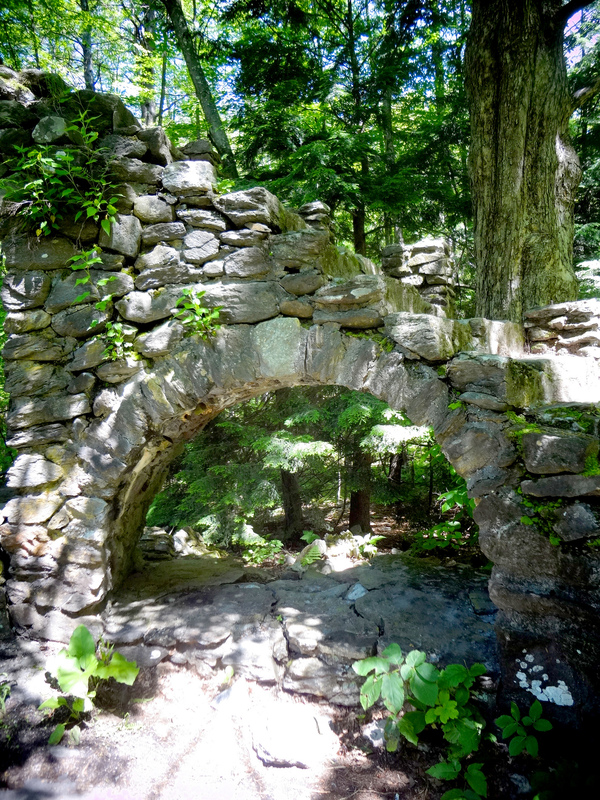 Wantastiquet is the charming ruin known as the Madame Sherri Forest. Madame Sherri, the former owner of this once lavish estate, was a Parisian singer, a costume designer for Broadway, and a die-hard party girl. After her husband died, she bought this 513-acre parcel of land in Chesterfield NH and had a huge, castle-y mansion built. The woods are beautiful and full of wildflower plants like this mountain laurel. Probably won’t see much laurel blooming in the fall, but this is also supposed to be a terrific site for enjoying the autumn foliage. 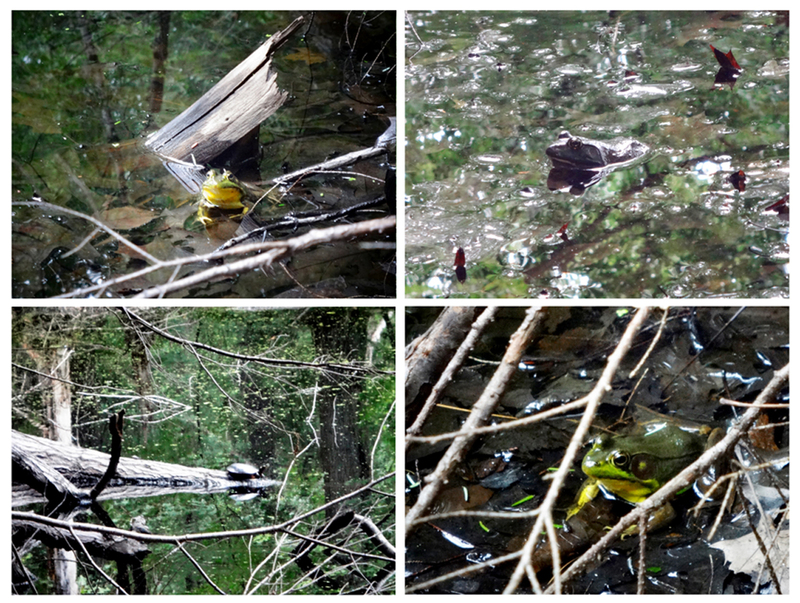 My kiddos always love exploring aquatic habitats and there’s plenty to see here as the Anne Stokes Loop trail that goes to the castle ruin passes right by Indian Pond, where you can see frogs, dragonflies, and beaver dams, just for starters. And it’s always fun exploring what’s left of the stone foundation. Apparently, Madame Sherri was somewhat notorious, not only for her wild parties full of *GASP* theater people, but also for her pet monkey and her habit of attiring herself in nothing but a fur coat. She’s pretty much the most flamboyant character to ever live in Brattleboro, and that’s saying a lot. That’s right, I said Brattleboro. By the 50s she had fallen on hard times, and ended up becoming a ward of the town and moving to a rest home in West Bratt. Several years later, her house in Chesterfield burned to the ground, except for the stone foundation and stairway. She died a pauper, with only six people attending her funeral. A biography of her came out a couple years ago, written by New Hampshire author Eric Stanway, and if this Keene Sentinel article is any indication, it is juicy as hey-all. Sounds like Grey Gardens meets Mae West, with a touch of Kurt Weill. Sign me up. Oh, and PS, there are also rumors that she ran a brothel out of her castle. and this Jack-in-the-Pulpit, which looks like something straight out of an Uncle Wiggily story (though how a rabbit could possibly hide in one is still beyond me). There’s also a little stream that runs down the hill, from a spring that the eponymous Ruth Warwick had cleared to provide water for the animals that live in the woods. Perfect for some light stomping and splashing in. Tons of cool sensory forest experiences to be had there. I always love how baby pine(?) trees grow so close together they look like a miniature forest. The trail is a 1.3 mile almost-loop (you have to walk about a quarter mile down the road to get back to the parking area) next to what used to be an large pond. 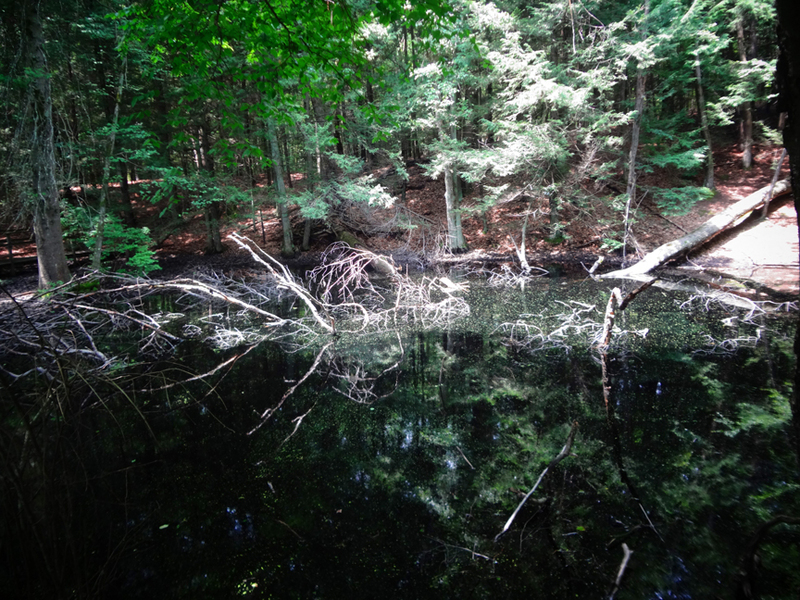 The pond was created in the 1800s when developers built a dam in the Keats Brook to power a mill, but it was recently drained due to concerns about the structural integrity and safety of the dam. Apparently there are plans to repair the dam and restore the pond eventually. For now, it’s become an 18-acre marshy wetland in the middle of the woods that has pretty much the most awesome echo I’ve ever experienced. There are several vista offshoots from the main trail, and the kids and I took one to climb out on this fallen tree and sing at the top of our lungs into the echoing meadow. The edge of the pond was rich with little late summer wildflowers, including these little orange lovelies that I keep seeing everywhere, including at the edge of the woods behind my son’s elementary school. Anybody know what they’re called? Of course, you can’t talk about hikes in and around Brattleboro without mentioning Fort Dummer and the Brattleboro Retreat Trails. Our favorite kid-friendly hike on the Retreat Trails is the path past the cemetery up to the haunted tower. Sounds deliciously spooky, doesn’t it? Perfect for a late October outing! The woods are very pretty and lush, and this hike is fairly short though it gets pretty steep at the end. But I’ve taken 2 year olds on it multiple times with no trouble. Oh, did I mention the tower was built by patients at the Vermont Asylum for the Insane (now known as the Brattleboro Retreat)? And yes, it’s supposedly haunted. In November, we’ll do our annual Lantern Walk down the sunset trail at Fort Dummer. Fort Dummer originated as a British fort pre-dating the Revolutionary War by about 50 years, used in a conflict between New England and a confederacy of Native American tribes who were allied with New France, called Dummer’s War. It’s named for William Dummer, who was the governor of Massachussetts (which what’s now Vermont was then a part of) at that time. Um, yeah, that may be the most confusingly worded sentence of all time. Three tries and that’s the best I can do. Nowadays, it’s a 218-acre state park, with beautiful vistas for watching the sun set (and rise, if you’re the type of person who goes on hikes at sunrise, which I decidedly am not). Fort Dummer is also a great place to visit for the petless dog lover. I’m not really a dog person but my kids so are, and it always makes them so happy to encounter dogs, as we always do, who are taking their people for a walk through the Fort Dummer park. If you decide to do a late afternoon/early evening hike, this is a great place for it but make sure to bring a flash light. Darkness falls quickly as autumn draws on, and there are a lot of roots crossing the trail for you to trip over if you’re not careful. Happy hiking, and remember, take nothing but pictures (and trash), leave nothing but footprints!